Latest styles of sandals with comfort and a conscious construction. The latest women’s Escape collection feature arch support, cushion rubber and superior strap strength and are made 100% PVC free. For a simple rubber sandal, they are so much more, with a wide range of colours and designs available too. A contoured footbed means unparalleled arch support while being water friendly. There is even comfort between the toes with an oval toe post. We would like to welcome our newest member to the team, Huang Wei, who is one of our team members from China. After only having surfed for 4 years he has made many surfing achievements, with the hope of achieving more as a pro surfer and playing an incremental role in growing China’s surfing industry at the same time. Huang Wei was born in Wanning city of Hainan province, China. With a warm personality and talent for sport he is now one of the first generation pioneers of China’s pro surfers. 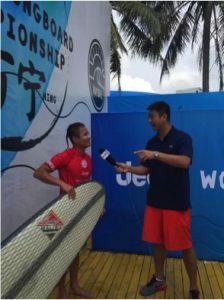 Over his surfing career Huang Wei has won China’s wild card to the World Longboard Championship event in 2014, competing against some of the worlds top Longboarders. In is own time he is devoted to promoting surfing in China by encouraging people to experience surfing in a number of ways. 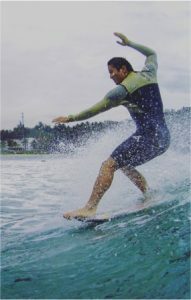 Honolua started surfing at the age of 2 and is now a great long boarder and short boarder. She has truly excelled in Longboard competition, competing on the WSL longboard tour and finishing up ranked 7th in the world at the end of 2016. 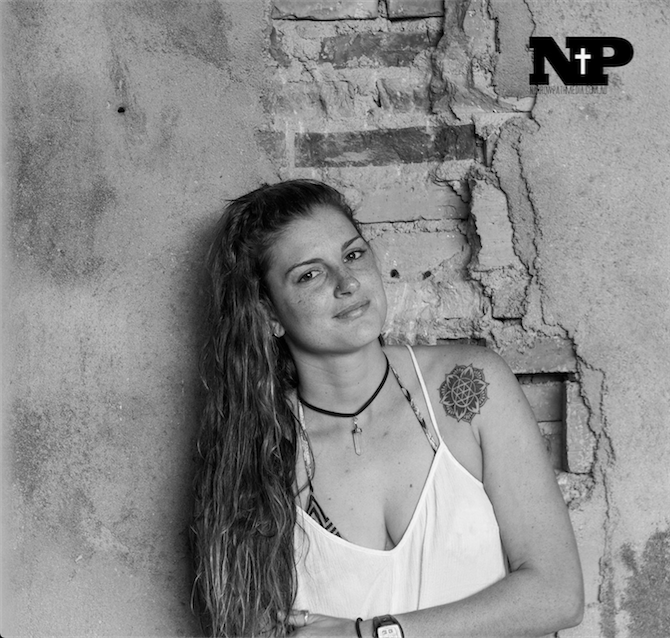 With a progressive yet graceful style she surfs the world, travelling from competition to competition and also enjoys hiking, skateboarding, music and SUPing. We hope to see her again next year at in Noosa for the Noosa Festival of Surfing. Whether you are a beginner, intermediate or a professional surfer, you are always learning and improving. Surf Whiz is a great tool to help you improve and a place to find all the surfing information you need. On their site you’ll find out about our Classic Malibu board types, styles and what boards will best suit your surfing level and wave conditions. Find our boards displayed here with information and links to our various models to find the board that’s right for you. Surf Whiz is an online surfing and fitness educator with the aim to provide everyone from beginners through to advanced surfers the opportunity to improve and excel in their surfing ability. Surf Whiz offers comprehensive online courses for each level of surfing ability; beginner, intermediate and advanced. These courses will comprise of not only coaching for when you’re actually surfing but also the equipment you will be using, how to analyse surf locations and complex weather charts, fitness maintenance and much more. In their new beginner course to be released, look out for our Classic Malibu board models featured, and details on how rocker, rail shape, fin-setup, concave etc. affect your surfboard and the way you ride. You can follow Surf Whiz for the latest updates in surfing, equipment, technology, board construction, surfing fitness and course release dates. Whether you’re looking for a comfortable walking short, surfing boardies, trunks or something for everything, you’ll find it in-store. Sizes include 30, 32, 33, 34, 36 ,38 & 40. Available only onsite so come in and check ’em out or contact us for more photos and postage options. 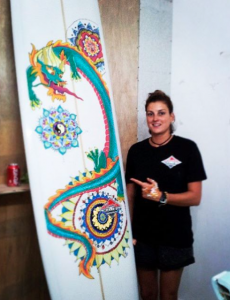 A surfer and artist devoted to her artwork, family and passion for surfing. Marnie was born in Perth, Western Australia, completing a graphic design degree at Curtin University. She worked in the industry of advertising and then as a freelance illustrator and designer for several years before designing her own art. After holding five one-man shows and many group exhibitions her work is now held in private collections all around the world. Gathering inspiration from family, friends and the beauty of the ocean itself her art depicts the peaceful and quiet beauty of simple things. Marnie uses watercolours, ink, acrylics and pastels to bring her work to life. You can find her prints available here in-store, if you want to add a touch of the beauty and harmony to your home. Andrew Carruthers is an amazing photographer who captures some of the most astonishing moments of Mother Nature, particularly of the ocean. 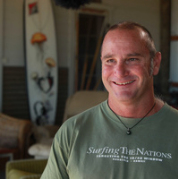 He is also the WSL world longboard Chaplain assisting surfers in the pressure of competition. When athletes need someone to talk to he approaches each individual as a whole person and not just a competitor or champion. He is someone who will listen to provide advice and comfort to these surfers in times of high stress. Born and raised in South East Queensland Andrew is now a well published Surf Photographer and writer. With these skills he now uses his photography business Narrow Path Media as a funding vehicle for Andrew Carruthers Longboard Chaplaincy. Andrew has taken some unbelievable photos throughout his career, if your looking for an image of that perfect wave for you’re wall, check out his work. Susan Schmidt is a fine arts painter and graphic designer. Since 1998 her work has been in national and international solo and selected exhibitions. Living and working in Noosa her works are presented worldwide in both private and public collections. Susan’s works are Contemporary Realism punctuated by subtle abstract elements. Her pieces reflect her concern for the environment, sustainable living and a more simple way of life. With simple beach scenes, reminiscing retro colours and the idea of her ‘Seaburbia’ that explores the cultural memory and heritage of the beachfront homes of Australia. After a much needed rearrange the shop is looking better than ever! With more stock available and some new demo boards on the way you’ll be able to choose from our wide selection and try before you buy. We also have some new winter products including the Classic Malibu hoodie and long sleeve t’s available in a range of colours.! A lady with style and prowess both in the water and out. Along with her exceptional longboarding skills, Kathryn also produces some unbelievable artwork, especially on her surfboards. Using Posca as the medium, she has created some amazing artwork on some of our boards also (seen in the right image). All my life I have been hearing impaired (my left ear does not hear and still the right has a hearing aid). I have no water proof hearing aid either, which often interests people due to the significance between hearing and balance. This, however, does not affect my balance when surfing.